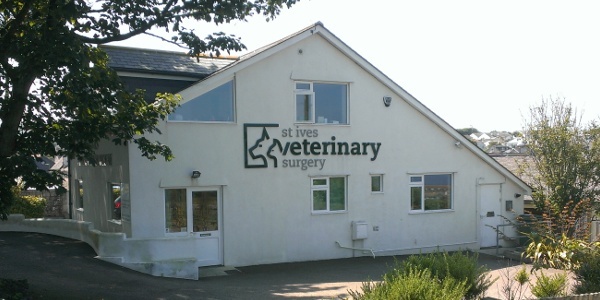 We offer quality health care to animals in St Ives, Carbis Bay, Hayle, Penzance and the rest of West Cornwall. The surgery was opened in 1983 and taken over by Stephen Putnam in 1990. It has recently undergone major rebuilding and upgrading, enabling us to continue to provide the best standards of care to our patients and clients. The purpose of this site is to provide information on the running of the practice and the services we provide as well as on various aspects of pet care and careers in Veterinary Surgery and Veterinary Nursing. We have a Facebook page which we use for regular updates and announcements. The Winter 2019 Newsletter is online now (pdf). We have a Healthy Pet Club which gives you significant discounts. Click here for details. To make an appointment, or for advice, telephone 01736 798333 at any time.